LSAT 2019 Application Form: Every Year thousands of students appear for Law school Admission Test (LSAT) conducted by Law School Admission Council (LSAC). More than 85 law Colleges accepts LSAT 2019 score for granting admission to UG and PG Law Courses to eligible candidates. This exam is designed by Law School Admission Council (LSAC) USA specifically for Indian Law Colleges. Candidates interested in applying are required to apply online for accessing the LSAT 2019 Application Forms available on the official website. After the successful registration, candidates will be receiving a registration number. It should be kept safely for the future purpose of accessing the Admit card, Result and other relevant updates till the admission procedure gets over. Get the complete detail of LSAT Application Form and Eligibility Conditions from the article below. The Registration for LSAT 2019 has started. Click Here for the Direct Registration Link. The Last date for the online Registration is 15th May 2019. Candidates interested in applying for Law School Admission Test (LSAT) are required to register themselves first and then can proceed with the rest of the details. Go through the important dates mentioned in the tabular format below. The LSAT Application Forms 2019 is available in an Online mode and forms cannot be availed from any other mode. 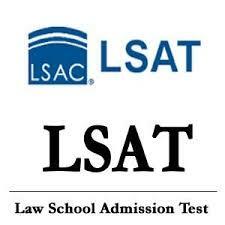 LSAT score is accepted by more than 80 Colleges of India for admission to BA LLB, LLB and LLM. Aspirants are required to complete every section of the form and incomplete or left out information will prohibit the LSAT 2019 Application Form from the submission. Status of the form, accepted or not will be informed via email, it is necessary to provide correct communication details like phone number or email address in the LSAT Application Form. Candidates should be utmost careful while filling up the Application Form, it is important that information in the form matches with the original documents which will be verified at the time of admission by college authorities. Go through the step by step procedure of filling the Application here. After providing these details, the candidate will receive a registration number for future references. For LSAT Application form 2019, the candidate is required to provide basic personal and academic details. 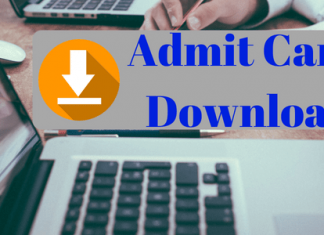 The data mentioned by the candidate in this section of the form should be valid and correct as these details are verified later at the time of the final admission. Selection of the cities where candidates can appear for the exam. Candidates are required to pay the respective fee for completing the LSAT Application Form 2019. It should be noted that the form not to be accepted without the payment of the Application Fee. The last step will include the submission of the LSAT Application Form 2019 after the payment of the application Fee. Candidates are advised to take a print out of the form for future reference. Qualifying Exam- Candidates should have passed 3 years of LLB or 5 years of BA LLB programme. Candidates appearing for the qualifying exam will also be eligible to apply.